I don't know about you but pasta is a staple dish for us weekly mainly because it's easy to make, filling and we can always make extra to take to work for lunch the next day. 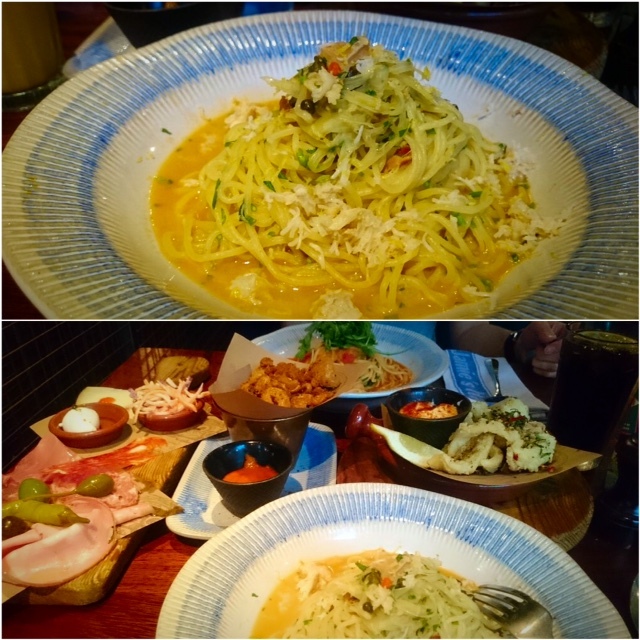 Every time we visit Jamie's Italian one of us always go for pasta - you can read about my last Jamie's Italian meal here no doubt we will visit again very soon since it's very child friendly. 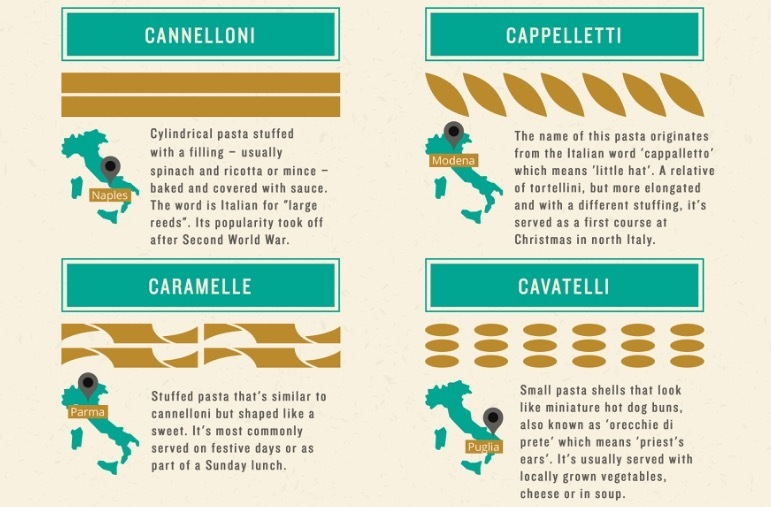 Did you know that different pasta shapes and their names actually tell a unique story of it's heritage? 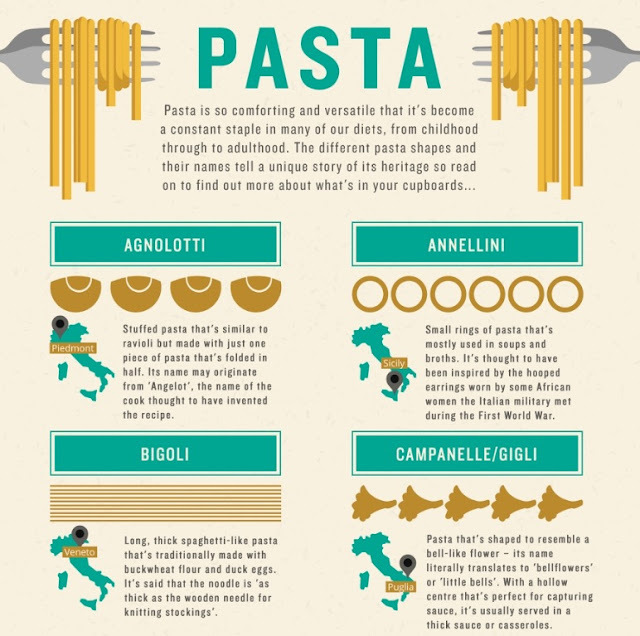 My 4 favourite has to be Tagliatelle, Penne, Lasagne, Ravoli and Spaghetti. When ever I purchase pasta I always tend to pick one of the 4 above because I tend to make more or less the same dishes. 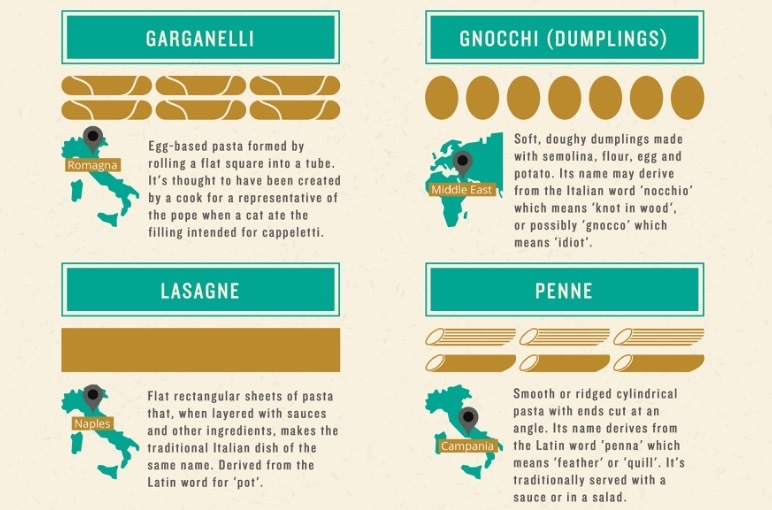 Choosing a pasta shape to suit your sauce actually makes a big difference to the finished dish and here are some of the obvious pairings to help you cook your pasta to perfection. General rule is larger shapes tend to work better with thick sauces while skinny shapes tend to suit cream sauces. 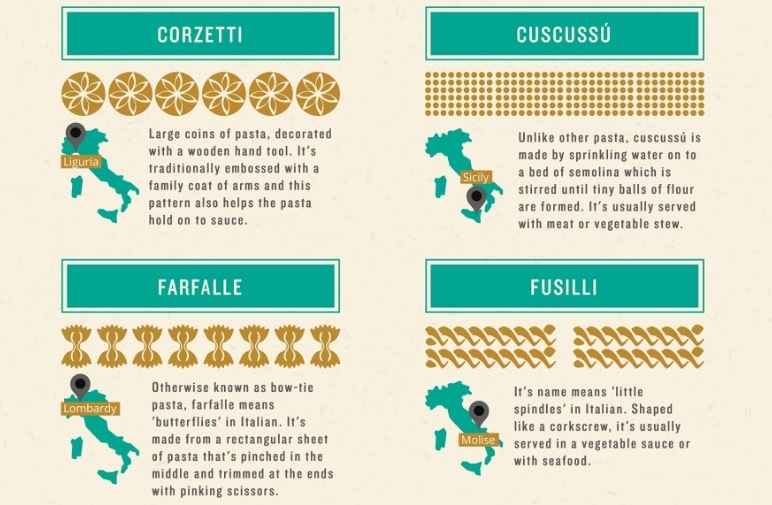 Below are some examples of how you can pair up some of the pasta shapes! 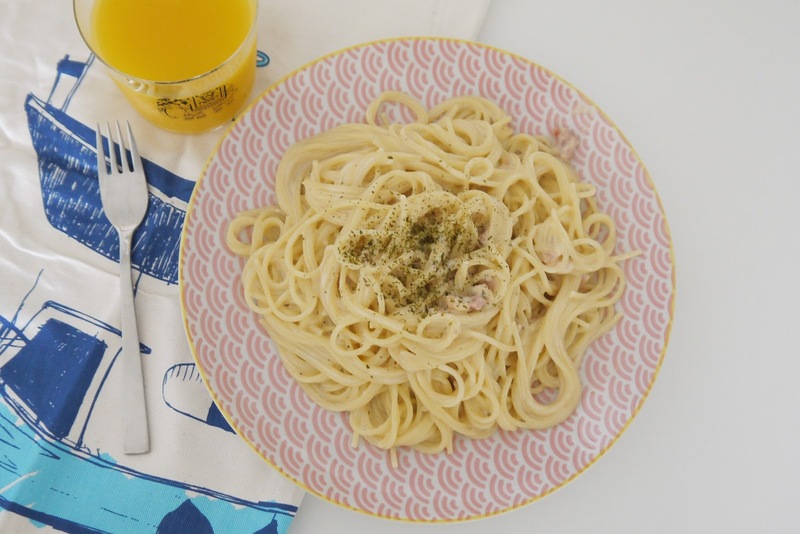 Light seafood sauces, cream- or oil-based sauces. 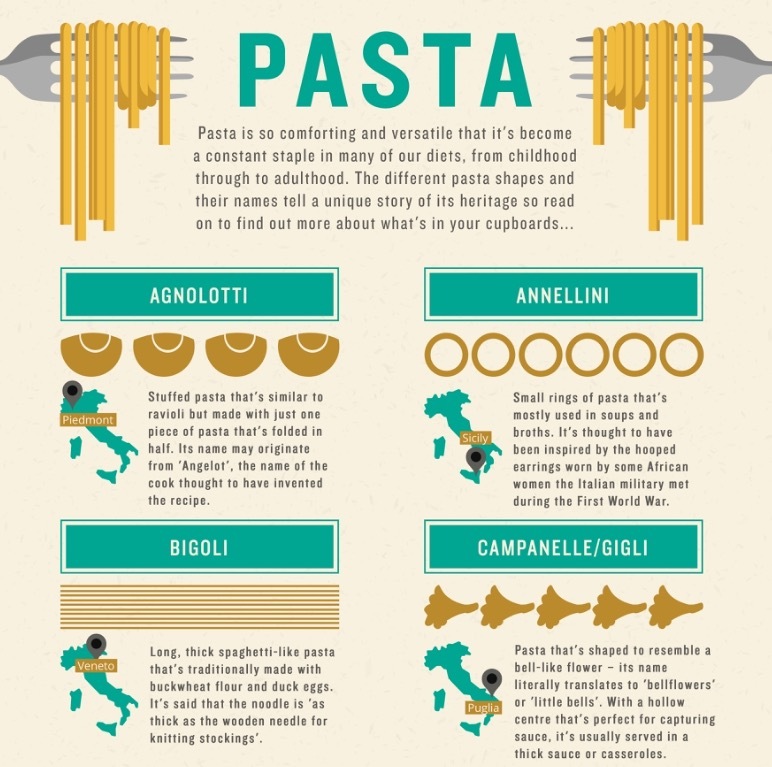 Long ribbons Tagliatelle, pappardelle, fettuccine, mafaldine Rich, meaty sauces. Shells Conchiglie, lumache Heavy cream or meat sauces; large ones can be stuffed. 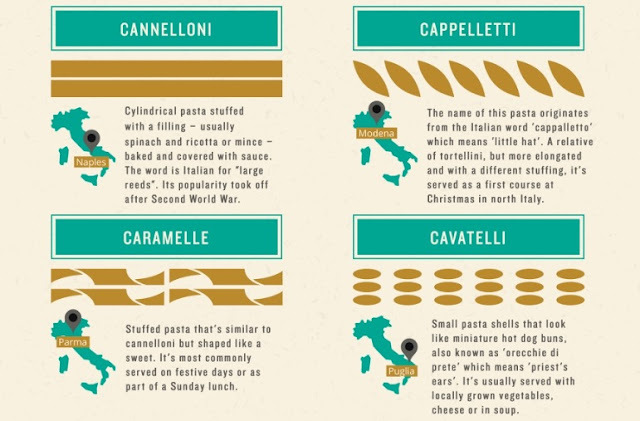 Twists Fusilli, trofie, strozzapreti, caserecce, gemelli Lighter, smoother sauces which will cling to the twists, such as pesto. Tubes Penne, rigatoni, macaroni, paccheri Hearty vegetable sauces, or baked cheese dishes. 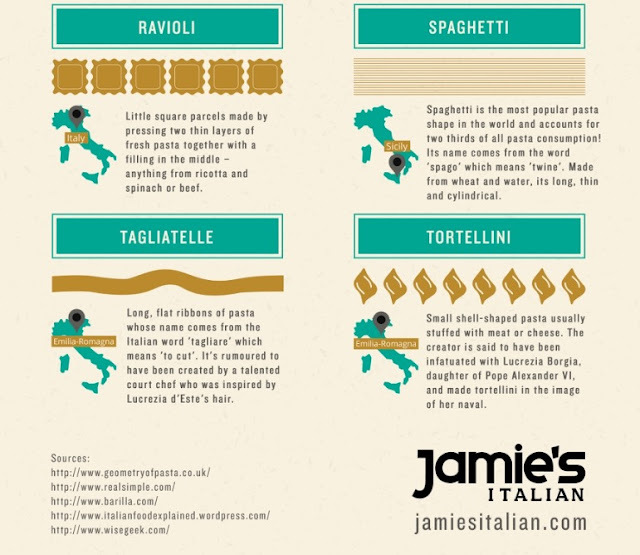 Also good with Bolognese or ragu. Mini shapes Orzo, fregola, canestrini, stelline In soups and stews or as pasta salads. Filled pasta Ravioli, tortellini, cappelletti As the filling contains lots of flavour, these are traditionally served with a light butter or oil sauce.